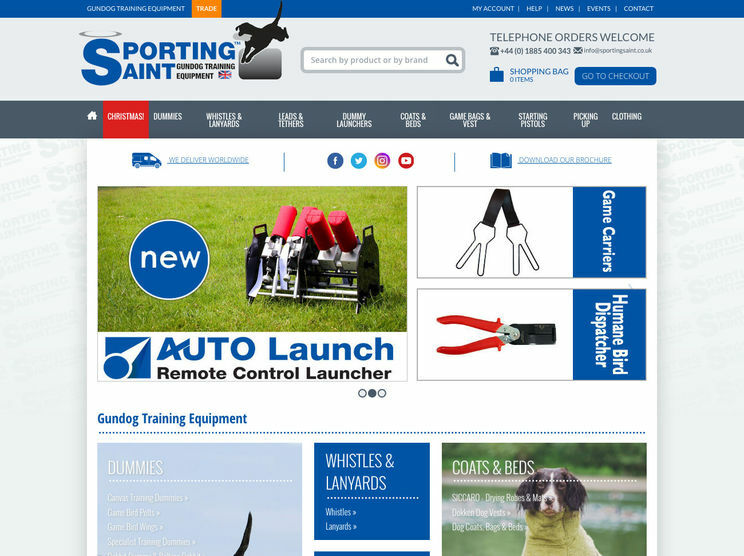 Sporting Saint is a specialist worldwide supplier and manufacturer of quality gundog training equipment. The company has been working with Hughes Media since its start up in 2007 and online sales have become a significant part of the business. The latest version of the Sporting Saint website is a real upgrade over previous versions. The modern design makes it easy to find products quickly. Product information is crisp and clear and makes it easy for customers to order quickly and easily. 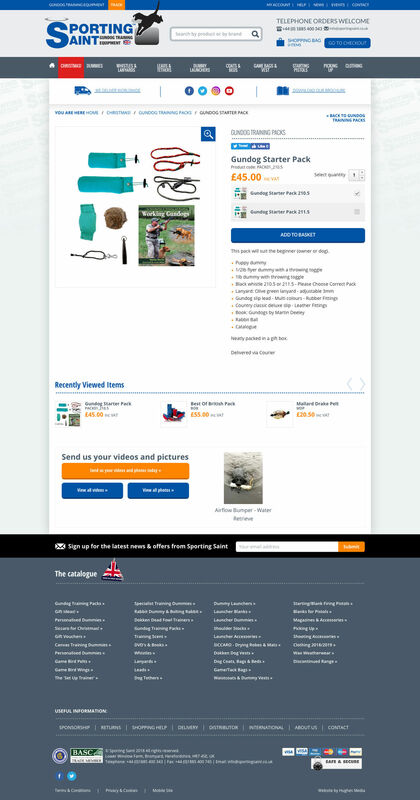 The design and other site improvements have helped to increase online sales by 20% following the relaunch. A super quick to load mobile site has proven to be popular for mobile phone customers reflecting the change in browsing habits of customers. A popular site like this that generates high volumes of orders needs a way of importing order information into an accounts system. 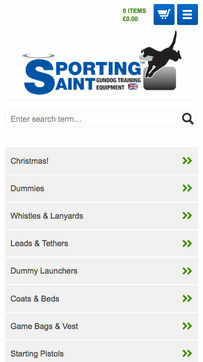 The Sporting Saint website links to Sage accounts to speed up order processing and reduce data input errors. New customers find the site easily through Google with a number one position for the search phrase "gundog training equipment".